This is what I believe to be the first socially interactive robotic cake. That might not be true but I love making the claim. My friend’s sister, Gabrielle Feuersinger, was approached by the Food Network to participate in a show called “Food Network Challenge: Extreme Urban Legend Cakes” [link]. She has an amazing cake design company called Cake Coquette in San Francisco. Naturally she wanted to push the limits, and I was between things at the time so we teamed up. Her theme was the alligators in the sewer urban legend. 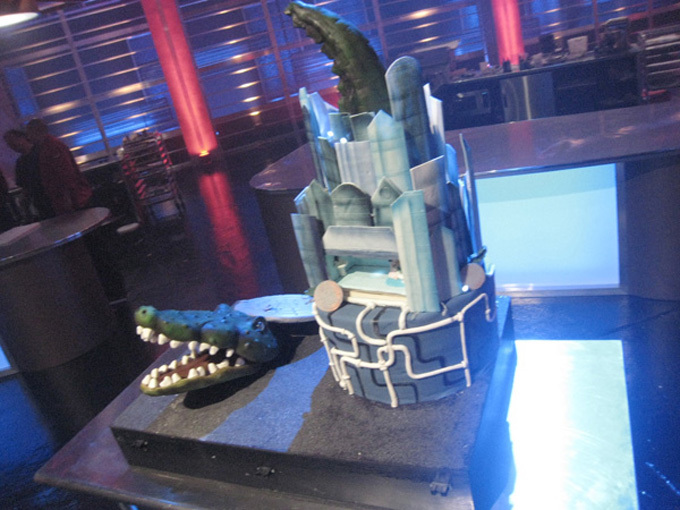 The central focus of the cake would be an alligator coming out of a manhole. I wanted to create an interactive experience because as far as I knew that had not been done in the cake world (not that I’m all that familiar with the cake world). The finished product was pretty cool. Under normal conditions the alligator would be relaxed, periodically looking around, with the lights of the city ambiently twinkling in the background. As someone approached the alligator’s eye’s would turn bright red, and it would look right at them as the lights of the city violently flashed. If they moved the alligators gaze would follow. If they stood in one place for too long eventually the alligator would calm down, its eyes would turn green, and its movements would slow. 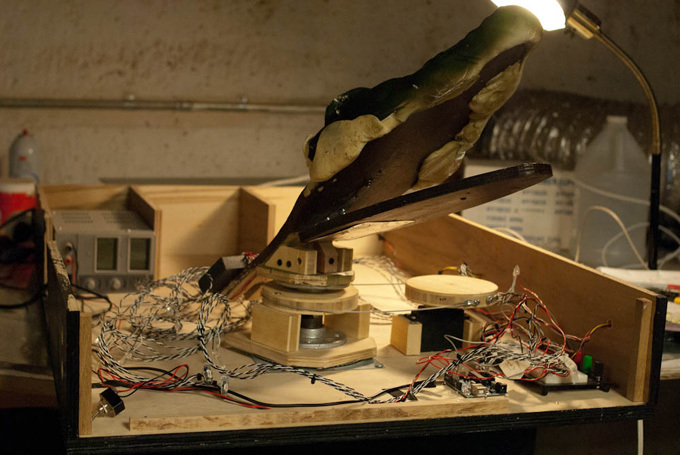 This was accomplished using an array of infrared proximity sensors at the front of the cake enclosure in order to determine the viewer’s position. 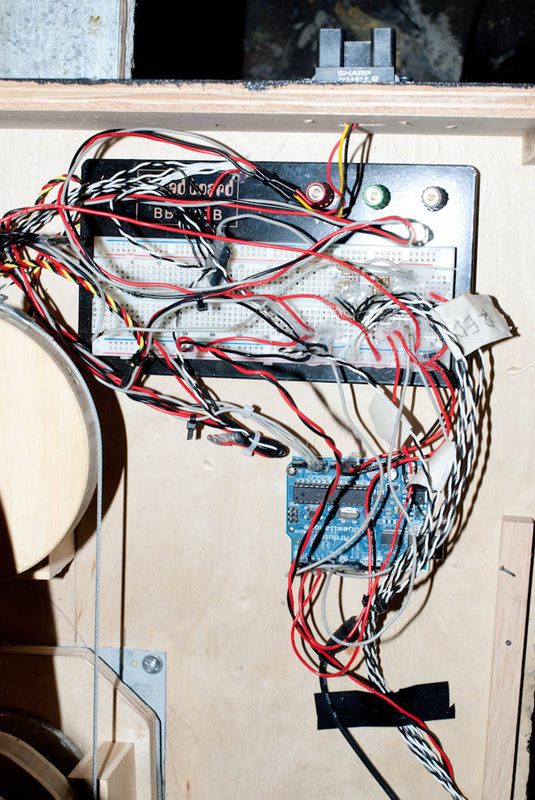 Motors controlled the movement of the alligator’s head, and the light’s of the were an array of dozens of white LEDs.